We’d love your help. 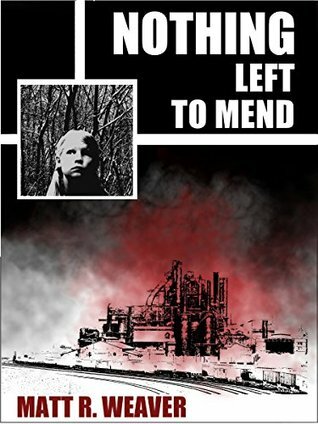 Let us know what’s wrong with this preview of Nothing Left to Mend by Matt R. Weaver. In a fresh tale of rust-belt noir, a disaster that shatters a town becomes a mystery that threatens a cop’s family. When unidentifiable remains are discovered after an explosion at a Pennsylvania town’s steel mill, a final battle begins between union and company. The new police chief, Glenn Dempster, will undergo trial by fire in an investigation that will reopen every rift in town, including those among his oldest friendships, and his fragile marriage. When the children of Glenn’s opponents target his young daughter, a father weighs his family’s safety against his principles. To ask other readers questions about Nothing Left to Mend, please sign up. A sad story that was written about a real event. I enjoyed following the personal story of a policeman and his family throughout this saga.